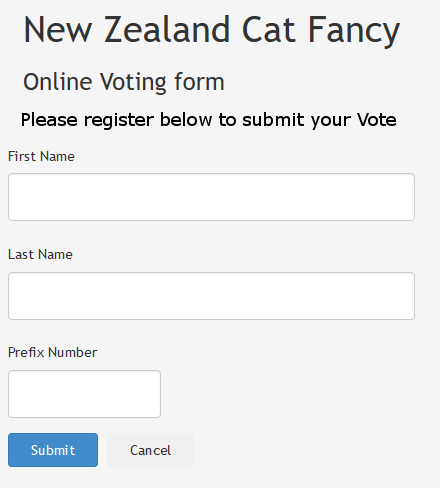 For 2018 New Zealand Cat Fancy Inc is making use of an online voting system. This is being used as an alternative option to the normal postal voting. If you wish to use the online voting option please follow the guidelines outlined below. You need to Register before you can start entering your vote. The registration process is simple to register you only need to enter your First and Last Name and Membership number. You can go to the registration page from the button at the bottom of this page. Before you register please read through the following then please proceed with the registration. Only use the button provided to move to the next ballot. If you navigate away from the webpage you will not be allowed to submit any more votes. 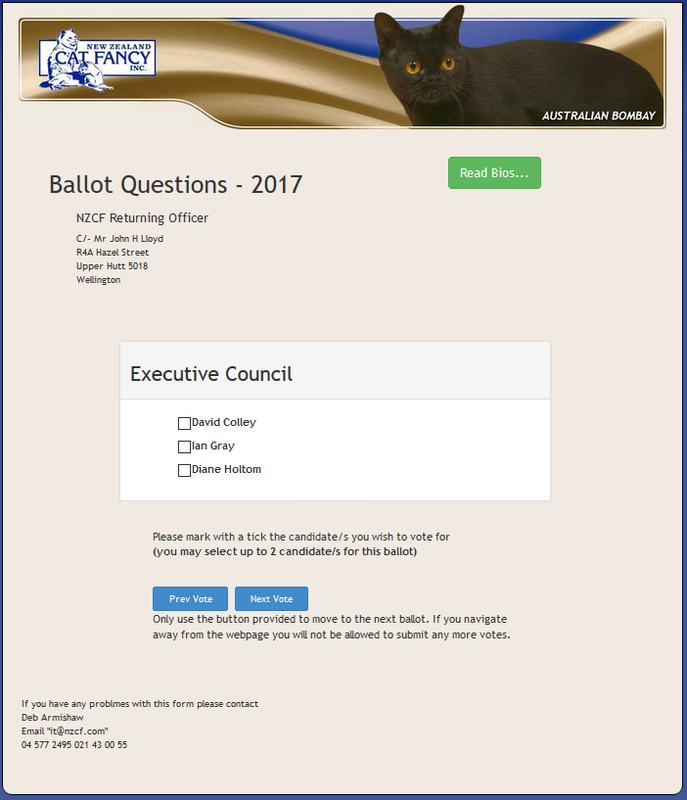 Each voting form will display each individual ballot and candidate/s up for selection, any special notes regarding ballot and or selection. There is also the option to read the Bios on the candidate’s running for each ballot. Please vote on the Breed Reps and results will be filtered out prior to counting the votes. Should you have any trouble with this voting process in the first instance contact the Portfolio Manager IT on 021 430 055.